Spring 2014 Held Gloves: Four More High-Fives! Hold on to your butts! We’ve recently imported four new gloves from Held, the world’s most conveniently named purveyor of hand-shoes! It turns out they make other stuff too, but my wit doesn’t extend beyond cheap puns, so I’ll ignore the other stuff. For those with hyperhidrosis, the Airstream II. For all-weather all-stars with a penchant for fantasy, the Wizzard Gore-Tex X-Trafit. Hands still wet, but not a nerd? 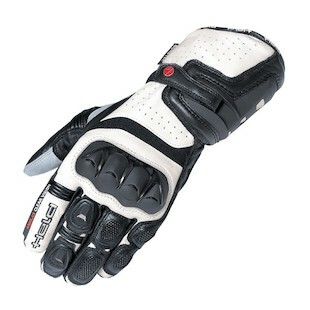 Check out the Race-Tex Gore-Tex Gloves. And finally, for those who love clicking sounds, the Kashiro - all wound up with Held’s BOA closure system. Sweaty palms are not a man’s (or woman’s) best friend. If summer riding is your thing, but you don’t want a cheap pair of mesh gloves exploding as soon as they contact asphalt, you’ll dig the new Held Airstream II Gloves. Just as the name suggests (Held, you’re so clever), the Air Stream IIs will flow a lot of (you guessed it) air. In addition to the obligatory perforated leather and knuckle vents, the Air Stream II has something not many other gloves have - finger web venting. Strategically placed mesh panels between your fingers will make sure your digits stay nice and comfy in the hot, hot heat. Perforated finger panels and a kangaroo palm will help out too, as will the DuPont CoolMax lining on the back. 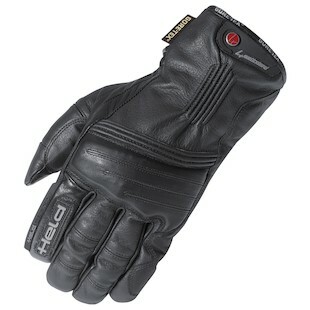 Seeking top-notch protection and comfort made by a company whose name practically screams glove? The Held Airstream II. For those entrepreneurial witches and warlocks who like their transportation to have two wheels and their wand-wielding hand to be free from road rash and acid rain, Held brings you the Wizzard. Gore-Tex X-Trafit (one layer takes the place of three layers in ordinary mortals’ waterproof gloves) and a flat-seam construction ensure pin-point accuracy for vanquishing ghouls and goblins, while a Superfabric palm slider comes in handy should you need to open-hand slap your arch-nemesis. If he be a particularly nasty foe, foam knuckle and finger protection will give you the means to escape unscathed. There aren’t many evil spirits on the highway, so it’s best to keep the Held Wizzard Gloves in an urban environment where they can do the most damage. A lightweight push-pull lining means these won’t be your first choice for winter excursions, but a visor wiper will keep your vision clear in the rain. A goatskin outer shell means the undead kangaroos won’t come after you - and who wants that? For all your rainy track day shenanigans (or Tuesday through Friday, for those of you in the U.K.), there’s the Held Race-Tex Gore-Tex Gloves. Foregoing X-Trafit for a normal Gore-Tex lining, the Race-Tex still has a surprising amount of tactile feel. The kangaroo palm will give you throttle feel equal to that of the MotoGP gods (unless you’re not a MotoGP god). The cowhide leather back is perforated and, along with knuckle and finger vents, will let you wear this waterproof glove even during humid, East Coast summers. Hard plastic knuckles and a Superfabric palm slider keep you safe should you lay ‘er down in the rain. A Kevlar-lined back will give you bullet deflection capabilities à la Wonder Woman (no it won’t). Click click BOOM. No boom? Okay, just click click click. For those with an irrational fear of Velcro, the Held Kashiro Gloves will put your mind at ease. No longer will the sound of hooks and loops haunt your dreams! 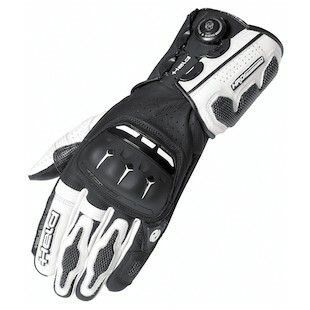 Finally, a race-level gauntlet that won’t wear out after one season of heavy use. 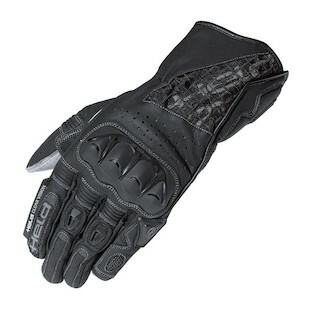 These gloves snug down with Held’s BOA adjusters. Held’s signature kangaroo palm will provide that famous tactile feel, while generous helpings of Superfabric will keep your skin where it’s supposed to be. Some perforated leather thrown into the mix will keep you from overheating, as will a CoolMax lined back. And if by chance you happen to ride your bike above the speed limit (no, say it ain’t so), a visor wiper will help you clean off the inevitable smorgasbord of bug guts. Yum, protein! Hold on! We’re not quite finished. You have to come to grips with what’s going on here. Get a handle on the situation. Held is no joke. They’re awfully punny, though. After some drama with Held USA, we’re very happy to have some new Held products back in the States once again. If you’re in the market for some of the most comfortable, feature-rich and well-made gloves out there, you won’t go wrong with Held. Get a grip, man - and buy some new gloves.